The arrival of online slots has expanded the appeal of real-life slot machine gaming, making it more social, intricate and exciting; but the real-life casino environment also has certain rules and traditions that keep things ordered and friendly. Those who are new to slots in a land-based casino might be forgiven for thinking that they're easy to play, but most video slots require careful thought, and slot tournaments are among the most fiercely contested casino competitions. Thus interrupting play is generally frowned up, whether it's with questions, exclamations or, worst of all, unwanted advice. Gaming pauses may present the opportunity for strategic chat and pleasantries but, like all casino games, you should choose your moment carefully. It is also acceptable to tip an attendant to watch your machine or, if you've gotten friendly with your neighbour, ask them to reserve it for you. Whether you're waiting for a favoured machine, or pursuing the now outdated strategy of attempting to pick up a player's spent purse, lurking is usually frowned upon. It is generally considered rude to wait right next to a player, or in their peripheral vision. If you do want to wait until a machine is free, respect the player's personal space and play on a nearby slot until they finish. Alternatively, at a convenient break in play, ask if they'd kindly let you know when they're finished. As frustrating as it is to have to wait for a machine to become free, it's even worse to wait for somebody to vacate the seat in front of a machine they're not even playing. The stools are placed beside slots for player use only. If you're in a casino and looking for somewhere to rest, you'll have to find somewhere else. 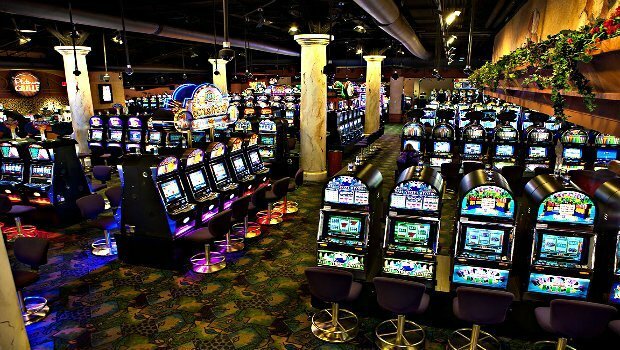 A hotly debated area in live slot etiquette is the right to play multiple machines at once. The rule of thumb is that if a casino is quiet, it's OK to play several neighbouring machines at once. However, if a player is waiting, or the floor becomes more crowded, it's good manners to restrict yourself to a single machine. The final sin of live slot etiquette is hogging a machine. Since there are so many no-no's about interrupting a game, there's a good chance that you haven't noticed somebody else aching for a chance at that jackpot: don't deny them the opportunity for too long. And woe betide anyone who attempts to reserve a machine for lengthy bar or meal breaks. It's just plain selfish. For long stints getting to know games, try playing at home on sites like Gala Casino first.